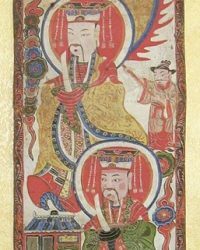 Included in this collection of Asian Scroll Art is a stunning group of Chinese Ancestral Portraits that originate from mid to late 19th century China. The white bird emblem on the garments signifies a very high ranking family closely associated with the Imperial Court. 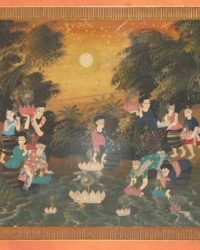 While over 100 years old, many of these antique paintings still retain their brilliant colors. Please keep in mind that the listed shipping cost is an estimate. Depending on your location, shipping may be less or more than the amount shown. We can also process your credit card payment directly from the retail gallery. Please call (970) 249-7047 or email jane@asianantiques-art.com if you would like to use this payment option. 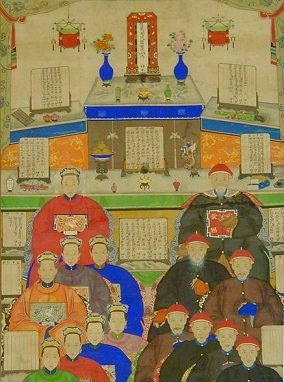 This stunning group Ancestral Portrait originates from the mid to late 19th century China. The white bird emblem on the garments signifies a very high ranking family closely associated with the Imperial Court. With still brilliant colors, this extra long portrait has been carefully lifted from its original backing and and has been remounted with a new backing. Measures 90" long x 41" wide. 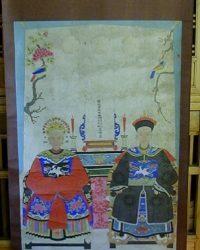 This antique Yao ceremonial painting circa 1880-1920 used by the Chinese Minority Yao (Mein) people in their temple ceremonies. 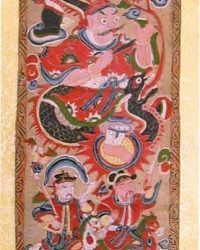 Yao ceremonial painting circa 1880-1920 used by the Chinese Minority Yao (Mein) people in their temple ceremonies. 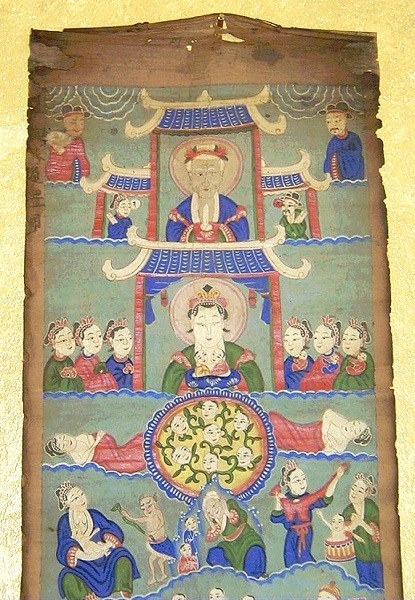 These paintings are believed to take on the spirit of the gods and demi-gods depicted and must undergo a 'cleansing' ritual before being decommissioned for secular use; 45" x 18". 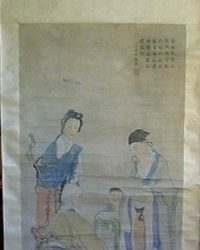 More photos of this antique Yao Painting available on request. 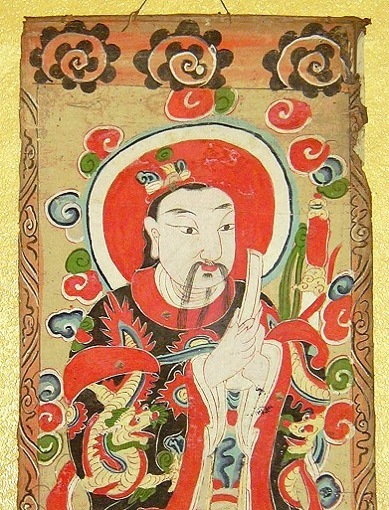 Yao ceremonial painting circa 1880-1920 used by the Chinese Minority Yao (Mein) people in their temple ceremonies. 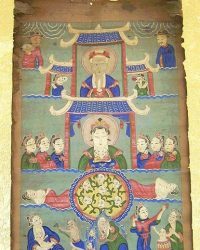 These paintings are believed to take on the spirit of the gods and demi-gods depicted and must undergo a 'cleansing' ritual before being decommissioned for secular use. This an ancestral portrait of a wealthy merchant wearing blue silk robes; circa 1890-1920. It is in remarkably good condition. Unframed 89" high x 38" wide. 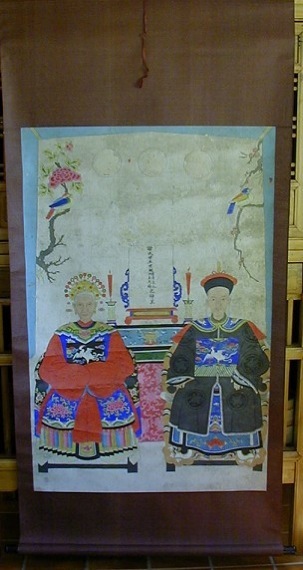 Ancestral portrait of elderly couple circa 1850-1890. 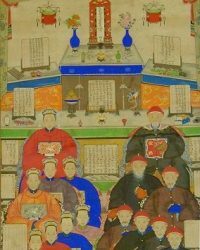 The gentleman in the portrait was a high official in the Qing government, known by the white crane Mandarin square on his garment. 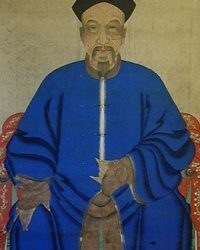 As a young man, he was apparently married to a much older girl,probably in an arranged marriage, as seen by their appearance in later life. Unframed 64" high x 36" wide. 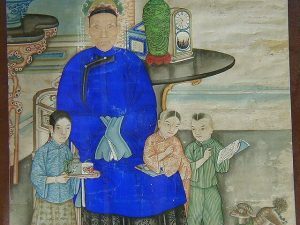 A typical late 19th century Chinese 'New Year' painting showing a typical happy and prosperous family. 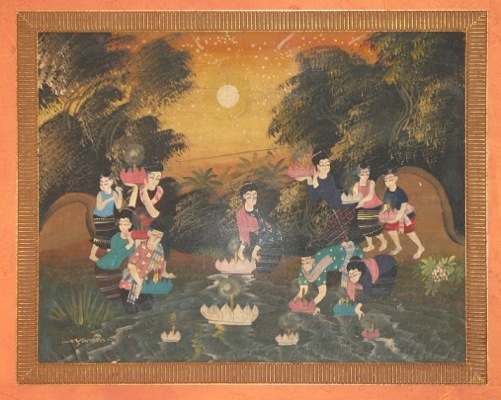 This original acrylic on wood in gilded wood frame depicts Thai women launching offerings during San Kratong festival. Local Chang Mai artist, Thailand, 1995. If you don’t see what you are looking for, please contact us. 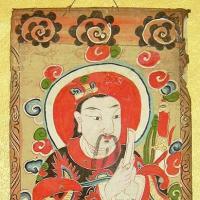 We have hundreds of Asian Antiques in our warehouse not shown on the website. 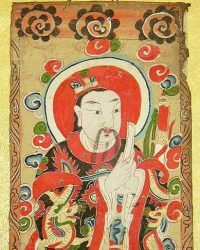 Please remember that Asian Antiques is now open by appointment and we are happy to arrange a time for you to visit.